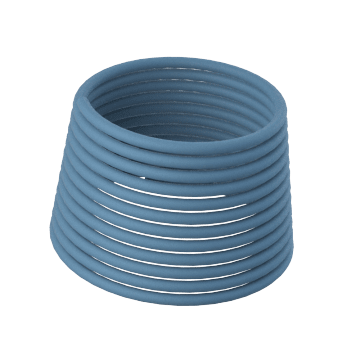 Lightweight, lead-free plastic and rubber tubing is ideal for applications where rust and corrosion are a concern. 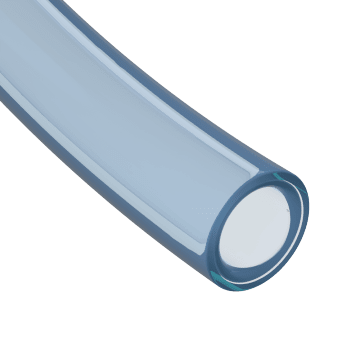 Sizing is based on the exact inside and outside diameters of the tubing. 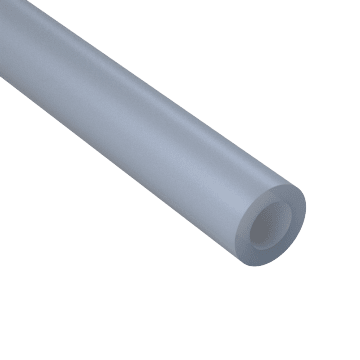 Tough EVA (ethyl vinyl acetate) tubing maintains its flexibility at low temperatures and resists stress cracking and damage from oil, grease, UV rays, and impact. It is suitable for use in high-purity environments such as hospitals and pharmaceutical facilities. 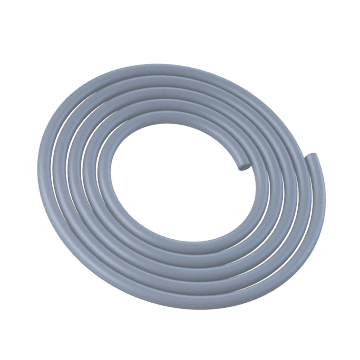 Capable of withstanding exposure to solvents, alkalis, oils, grease, petroleum, fungus, mold, and humidity, durable nylon tubing resists crushing, abrasion, and cracking and will not swell or become brittle when wet. It a good choice for industrial applications such as packaging, automation, and robotics. 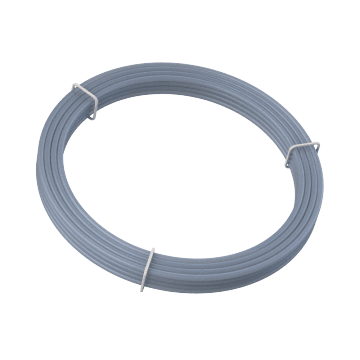 A good choice for potable water systems or radiant heat installations, PEX (cross-linked polyethylene) tubing is flexible and corrosion-resistant. 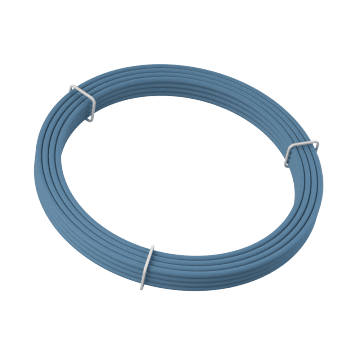 Featuring excellent resistance to flames and high temperatures, PFA (perfluoroalkoxy) tubing is inert to a wide range of chemicals and solvents. It is an excellent choice for high-purity applications like semiconductor, food and beverage, pharmaceutical, and biotech applications. 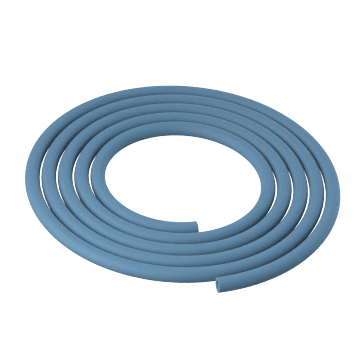 Lightweight polyethylene (PE) tubing resists punctures, chemicals, and stress cracking when exposed to solvents, soaps, and oils. It is commonly used for a wide range of applications such as food processing, water and drain lines, and pneumatic equipment. Oil- and plasticizer-free polyolefin tubing resists drying and cracking and maintains good flexibility over its life. Suitable for peristaltic pumps and water purification, food and beverage processing, chemical transfer, and soap and detergent dispensing equipment. 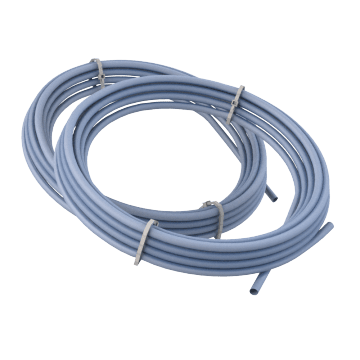 Nontoxic polypropylene tubing resists most acids and alkalis and can withstand high temperatures and high pressures. It is ideal for transferring food, beverages, hot liquids, and gas. 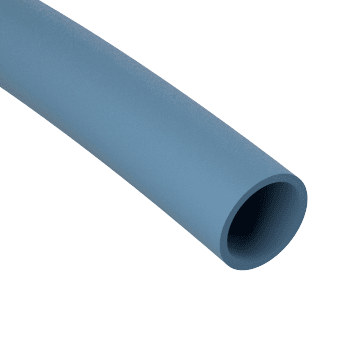 Suitable for high-pressure applications, polyurethane tubing is flexible, lightweight, and resists weathering, tears, and abrasion. It deters algae growth when used in wet or humid environments and is a good choice for air and water lines, robotics, car wash equipment, and painting equipment. 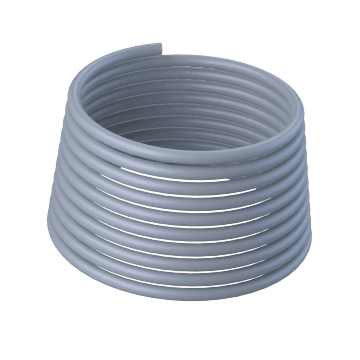 Non-flammable, chemical-resistant PTFE (polytetrafluoroethylene) tubing has low permeability and a smooth surface that resists residue buildup. It can withstand very high temperatures and is well suited for high-purity applications in the laboratory, automotive, aerospace, and chemical processing industries. 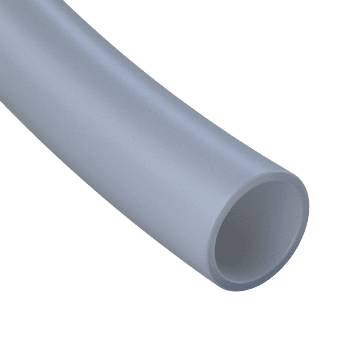 Economical PVC (polyvinyl chloride) tubing is flexible, nontoxic, and corrosion-resistant, making it a good choice for food and beverage applications. 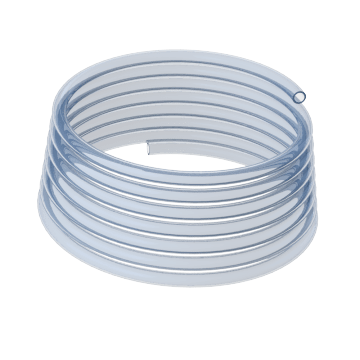 Ideal for laboratory use or food and beverage processing applications, flexible Tygon tubing has excellent chemical resistance and has a smooth inner bore that reduces the risk of trapping particles in the line. 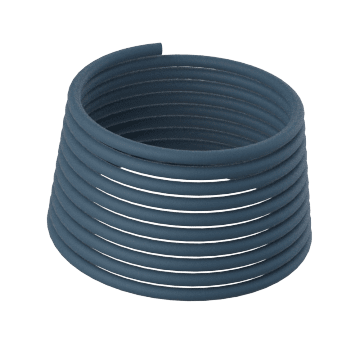 Typically used to transfer automotive fluids, chemicals, fuels, and lubricants, Viton tubing maintains excellent resistance to oils and chemicals at high temperatures and resists aging and ozone when exposed to UV light and weather. 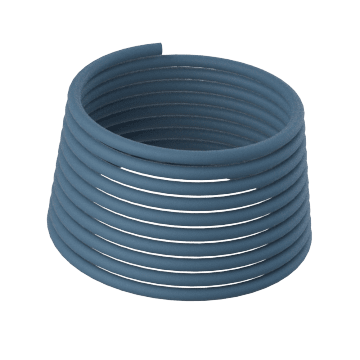 Flexible and durable Buna-N rubber tubing resists damage from water, oil, caustics, fuel, and petroleum. It is often used on drain lines and for transferring water, coolant, and other fluids. 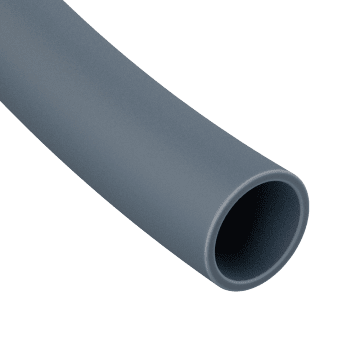 This EPDM (ethylene propylene diene monomer) tubing resists damage from outdoor elements such as acids, water, ozone, oxygen, and sun, and offers good heat, chemical, and abrasion resistance. It's commonly used in vehicle fluid lines and agricultural applications. Resilient neoprene tubing is flexible at low temperatures and resistant to flames, ozone, oxidation, and petroleum products. 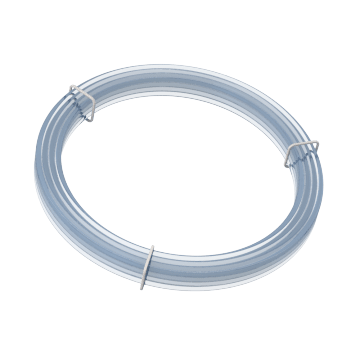 Sterilize this high-purity silicone tubing with steam or in an autoclave between uses to prevent cross-contamination in sanitary environments. Braided for strength, it is flexible and resists chemicals, heat, ozone, aging, and UV hardening.